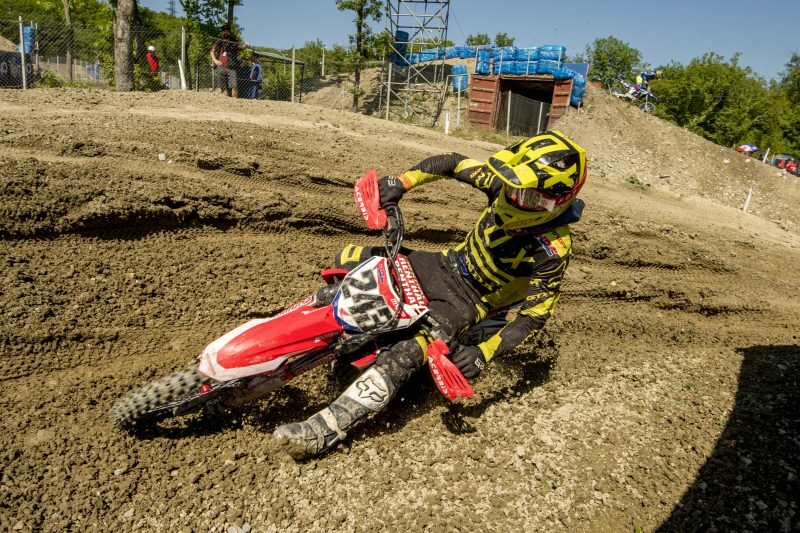 Tim Gajser has claimed an overall fifth-place finish in his first-ever appearance in the MXGP of Russia, courtesy of a fifth and a fourth in the two races of the MXGP class that were contested today at Orlyonok. The Team HRC rider, after six rounds completed – and one sat out due to injury – occupies eighth place in the championship standings. 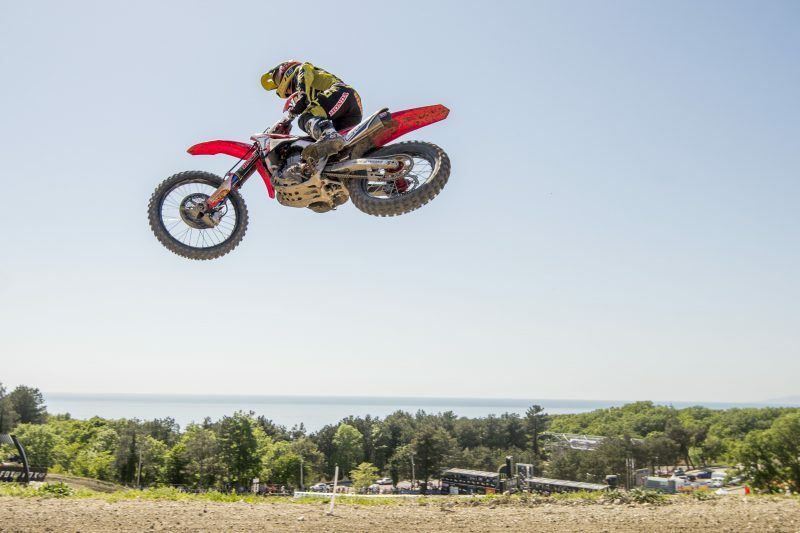 Gajser was second overall in the morning warm up, but the 14th gate pick meant a not-so-ideal position for the start of race one. 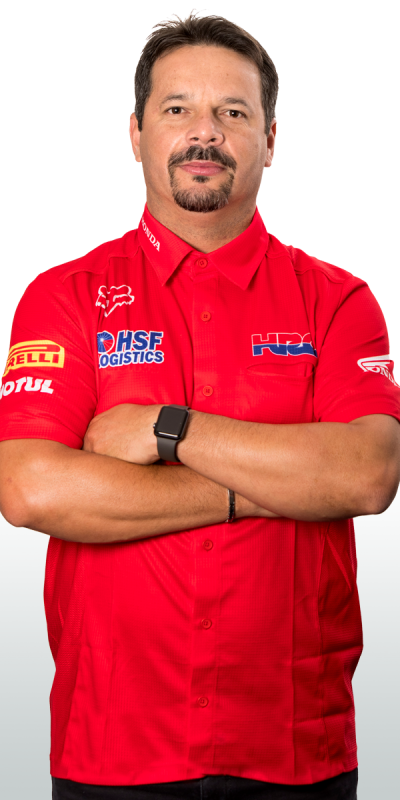 The two-time world champion had a decent start to the encounter and progressed rapidly in the first couple of laps, which saw him go all the way up to fifth place. 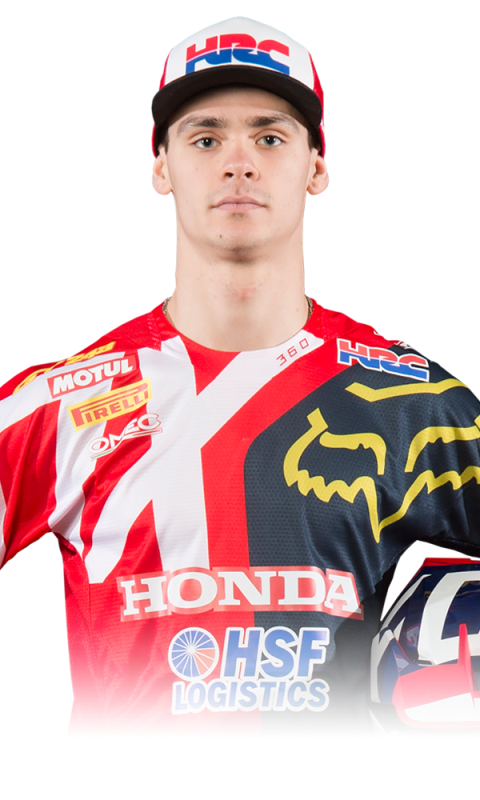 As the race played out Tim kept his head down in order to put some ground between himself and sixth-place van Horebeek, whilst trying to close the gap with Paulin ahead. With two thirds of the race time reached on the clock, Gajser had consolidated his fifth position, which he comfortably maintained up to the finish line. 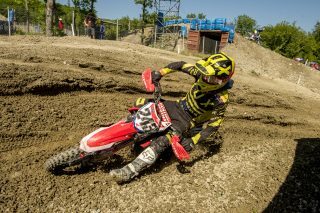 The 21-year-old Slovenian rider showed up at the gates for race two aboard his Honda CRF450RW machine with the full intention to step up his game and, as the MXGP field stormed past the pit-lane after the start, he was up to third. 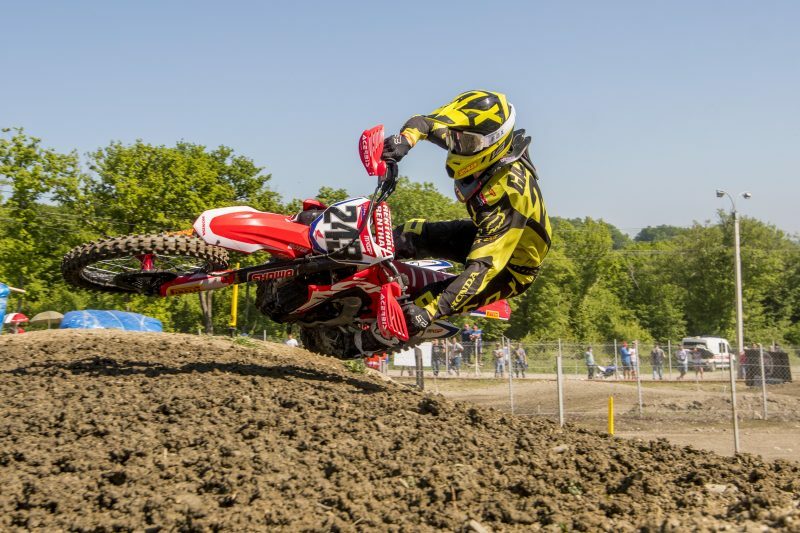 Unlike the first race, there was no one rider able to pull away, with relatively small gaps between each position for a large part of the moto. 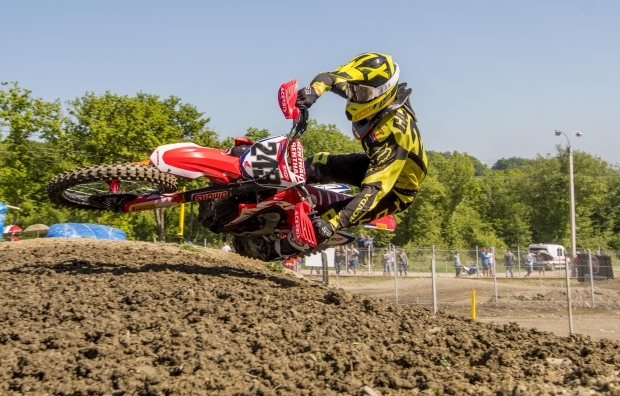 Gajser maintained a strong pace, which allowed him to defend his position for a while. With three minutes left on the clock, however, Febvre closed in on Tim and the battle for honours heated up. 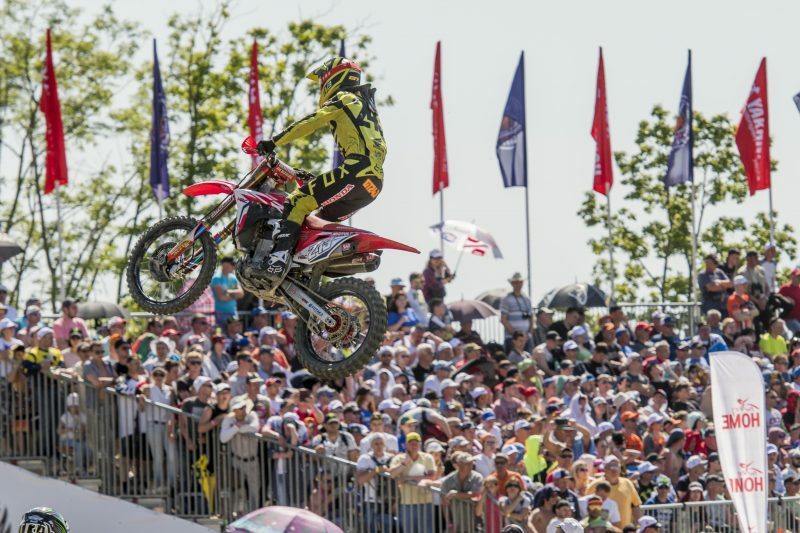 After losing the position at the end of the penultimate lap, Gajser retook third on the first sector but then had a small tumble which cost him the position at the chequered flag. The MXGP World Championship will return to action in two weekend’s time as the series heads to Kegums for the MXGP of Latvia (12-13 May). I’m quite disappointed honestly, as I’ve lost third place in race two with only half a lap to go. But that’s motocross: sometimes it can be a tough sport, but the important thing is to pick yourself up and move forward. In any case, the speed was there, I just need to work a bit harder on the fitness side. I feel good nevertheless, we are slowly coming back to where we belong. I just want to give a huge thanks to my team, because the bike was really perfect. I enjoyed the track and the crowd was great, so I can say I had a good time here! Overall it was a positive weekend for Tim: it’s a shame we missed out on the podium but the speed was there, so we need to carry this momentum into the next race. We will take the positives of this round with us and hopefully Latvia will give some joys and results. Everyone in the team did an amazing job so thank you to them: the bike was really competitive this time, too.